India’s largest mobile service provider Bharti Airtel today announced that it has acquired 100 per cent stake in Wireless Business Services (WBSPL), a company founded by US chipmaker Qualcomm which holds 4G BWA Spectrum in Mumbai, Delhi, Haryana and Kerala circle. Earlier Airtel had acquired a 49% stake in WBSPL (Qualcomm Asia Pacific -India) in May 2012 for USD 165 million. WBSPL ( Qualcomm) has emerged as a successful bidder in the 4 circles – Mumbai, Delhi, Haryana and Kerala of the auction for 4G Broadband Wireless Access (BWA) Spectrum conducted by the DoT in June 2010. At that price, the additional stake purchase would have cost Airtel an estimated USD 165 million, or Rs 1,008.1 crore at today’s exchange rate. 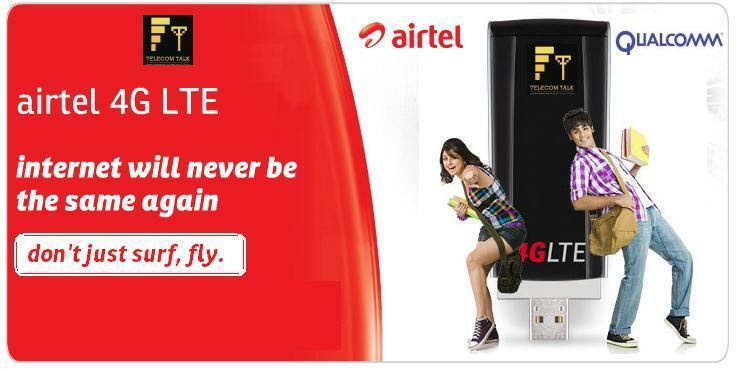 Airtel has 4G BWA license and spectrum in 4 circles – Kolkata, Karnataka, Maharashtra and Punjab and launched its commercial 4G Broadband services in Kolkata and Bangalore (Karnataka) as we earlier shared on TelecomTalk, now can offer the same 4G BWA services in Mumbai, Delhi, Kerala and Haryana where in Qualcomm holds 4G spectrum and license.